Finally: A Team-Building Idea That Is Not Boring! Team building is an important way to teach your co-workers and colleagues how to work together. Unfortunately, most team building activities are, well, boring — but those days are gone. No more long seminars and cliché activities like trust falls. 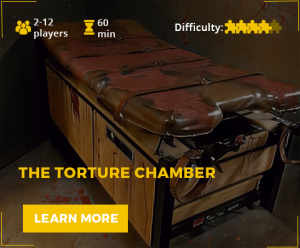 Escape rooms make the perfect escape from a mundane day at the office. Exit Strategy Games is a unique environment where you can host your next team-building exercise. We are available for corporations, office parties, youth groups, school programs, sports teams and more. Because each of our escape scenarios is 100% private, you don’t have to worry about non-teammates intruding. Need to schedule a time during our non-business hours? No problem. Contact us for more details on how to plan your next team-building activity. Working together to escape will teach your team how to achieve a common goal. After the escape scenario ends, you will have a clear understanding of skills that need improvement. Using the game as a platform for discussion, you can debrief and discuss the strengths of your team and places you see that need work. Corporate team building in an escape room is an exciting way to teach your team how to solve complicated problems and work better together, all while having fun! 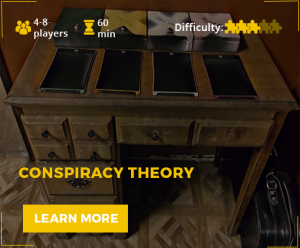 Escape Room games are a growing trend for corporate team building activities. Join our growing list of players from the above businesses. You name it, they’ll love it! To book your team-building event in Elk Grove or in Mammoth Lakes, get in touch with our office by calling (916) 399-EXIT (3948) or contact us online.